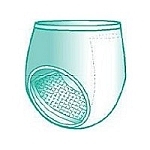 Reusable briefs also known as pull-up incontinence underwear is designed for light to moderate absorbency against urinary incontinence. 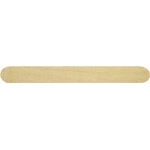 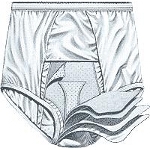 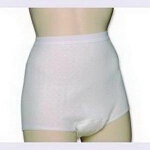 Reusable protective underwear briefs are comfortable, discreet and worn like normal underwear. 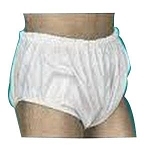 Reusable incontinence briefs are used in conjunction with incontinence pads to achieve the desired level of protection. 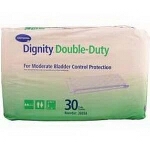 Dignity provides a variety of reusable protective underwear brief brands, with pad sizes and absorbency ratings to fit your individual needs. 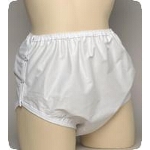 These brief sizes range from youth small to XL plus. 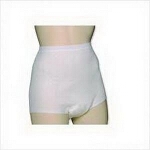 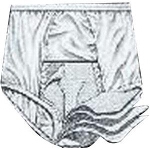 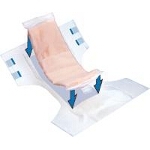 We carry the most popular and effective reusable brief brands prescribed by medical professionals for urine incontinence, which can often be difficult to find in stores. 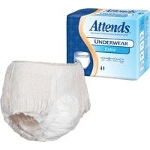 Looking for incontinence pads to use with your reusable briefs?